We can't get enough of the weather, the vibes, the summer treats and of course... the denim. What denim are we loving this season, you ask? None other than the Zip-Front Denim Dress and the Mia Boyfriend Short with Inset Panel in White or Distressed Medium Wash. 3 picks guaranteed to keep you cool all summer long. SUMMER CHALLENGE: Say "Summer Denim" 3x in a row fast . . . 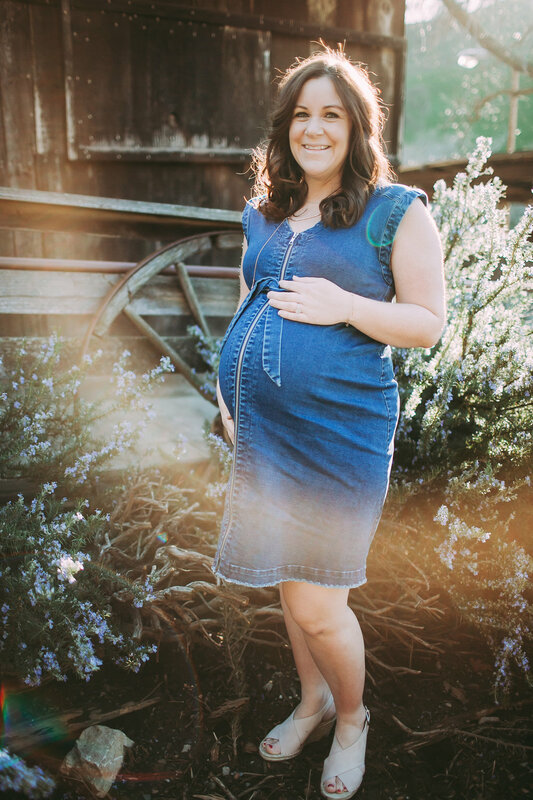 Perfect for cool summer style, these maternity jean shorts sit comfortably under the belly. 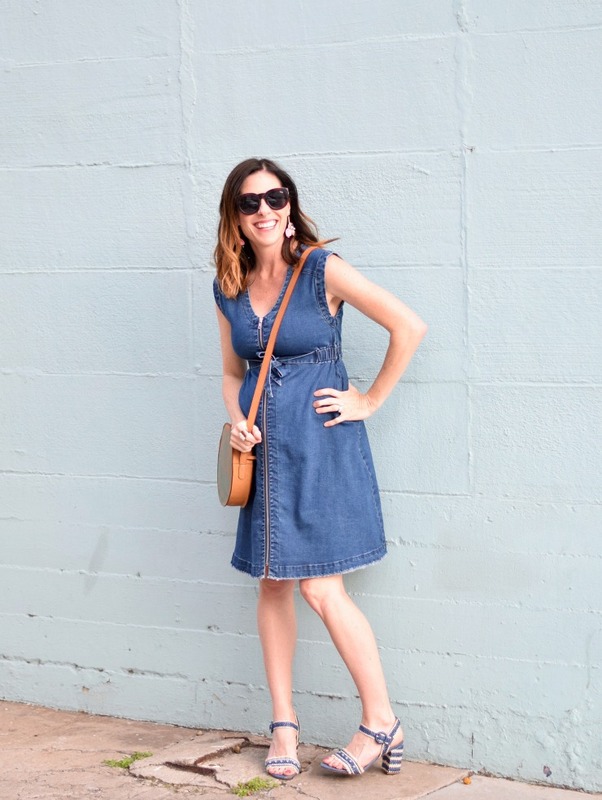 Perfect with sandals for a casual summery look or with boots for work, this maternity denim dress will be a go-to. Layer up with tights and a soft, knit top for cooler weather. Built-in nursing functionality makes this an easy option for after baby too.